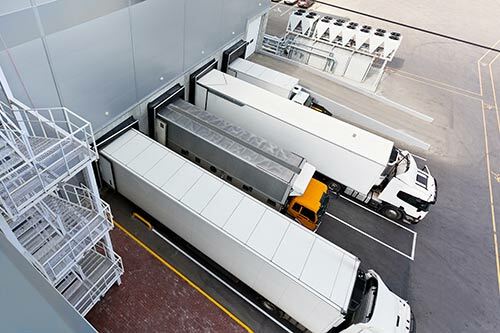 Storage facilities and warehouses are often spread out over large areas and can consist of multiple buildings with many entrance and exit points that can be a challenge to monitor and secure. A video surveillance system is the ideal solution to help monitor all the various aspects of the storage facility or warehouse. Strategically placed security cameras will significantly improve the safety and the overall management of the facility. See below for some of the additional benefits of a properly designed warehouse and storage facility surveillance system. Theft Reduction: The strategic installation of visible surveillance cameras will dramatically deter theft. In the event that a theft does occur, reviewing the footage will often lead to the apprehension of the culprit. Building Security: Surveillance cameras enable building security personnel to monitor larger areas more efficiently. Remote Monitoring: The latest IP camera and NVR (Network Video Recorders) technology enables remote security management, often without the necessity of on-site security personnel. An NVR enables you to check up on any warehouse security camera at any time. Personnel Safety: A surveillance system also allows you to monitor workers to ensure everyone is following safety protocols. In the event of a workplace accident, video footage can help identify what went wrong, why, and how to prevent it in the future.